STACS registration does not include accomodation fee and we do not propose any hotel reservation service. However the university has negociated prices with some hotels and we have made pre-reservation in some of them. 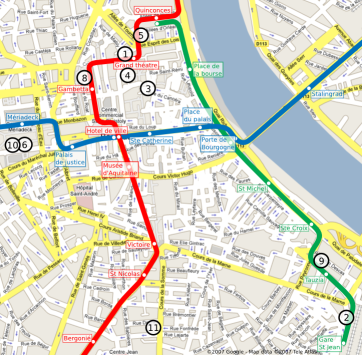 All (except hotel 7) are in downtown Bordeaux and are 5 minutes from a tramway station. Mention the reference STACS and University Bordeaux I when booking. 20 rooms reserved until January 31th. Mention the reference STACS and University Bordeaux I when booking.